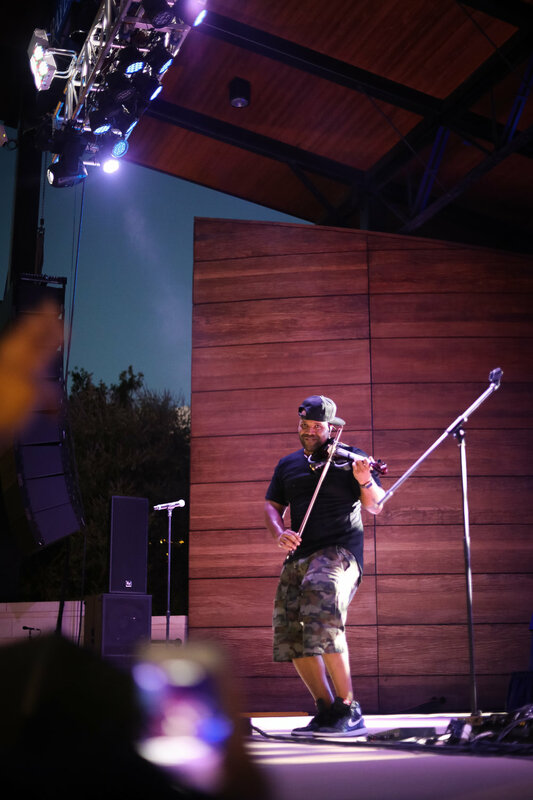 More than just the home of the Dallas Cowboys and the Texas Rangers, the city of Arlington has a LOT to offer for families with kiddos young and old. From free concerts to crazy roller coaster rides, here are 5 things you can do in #ArlingtonTX this summer. As one of the nation's most successful theme park chains, Six Flags is almost synonymous to summer fun. And here in North Texas, it's located in the city of Arlington! I know what you think, isn't Six Flags is more for adults? Not really! I mean, yes they do have a lot of awesome thrill rides that are often 'too scary' for adults. But they have tons of awesome stuff for little kiddos too! Our strategy is to always wear J out before doing whatever we like at a theme park. So here at Six Flags, we would start by going to rides like Bugs Bunny Boomtown, Looney Tunes Adventure Camp, El Sombrero, and Fiesta de las Tazas (the teacup ride). Click here to see all of the family rides. So then, J has had a lot of fun, he's hyped, tired and ready to eat and that makes our job easier from that point on. You don't want the kid to get too tired though, or they will get cranky. So anyways, we would head over to some of the restaurants that they have there. We love Panda Express, some fried rice, orange chicken, noodles, soda, and a side of delicious funner cakes from one of the funnel cake shacks make a great lunch! During lunch we would go over the map again and plan our next move. We did the train rides, the Bat Wing ride, Aquaman Splash, and more! And then we changed our clothes and headed home, full and happy. Now even though Hurricane Harbor is located right across Six Flags, I personally do not recommend visiting them both in one day, simply because both places offer so many fun things that you wouldn't want to miss! They have thrill rides, wave pool, and a lazy river that are family-friendly -- so you would want to come early and make a day out of your visit here. There are floats to rent, lockers to rent, and a bar for adults by the wave pool. Speaking of a bar, it is important to remember that no outside food and beverages is allowed! But no worries! The Hurricane Harbor has a great variety of food vendors serving everything from pulled pork sandwiches to burgers and flatbread sandwiches. My personal favorite is the Cappuccino Snow Cones! Delicious! My family and I love music! It's a part of our daily life, and I personally wouldn't mind to pay to watch a really good music performance. But here in the city of Arlington, we get to watch quality, family-friendly music performances for FREE!! They have everything from acoustic, soul, rock n roll, to a themed show like the Grease Sing-A-Long performance (July 6!)! Click here to see the full event calendar. It's an open space so feel free to bring your picnic blankets or foldable lawn chairs. Arrive early too so you get a good spot! And yes! They have food trucks!! 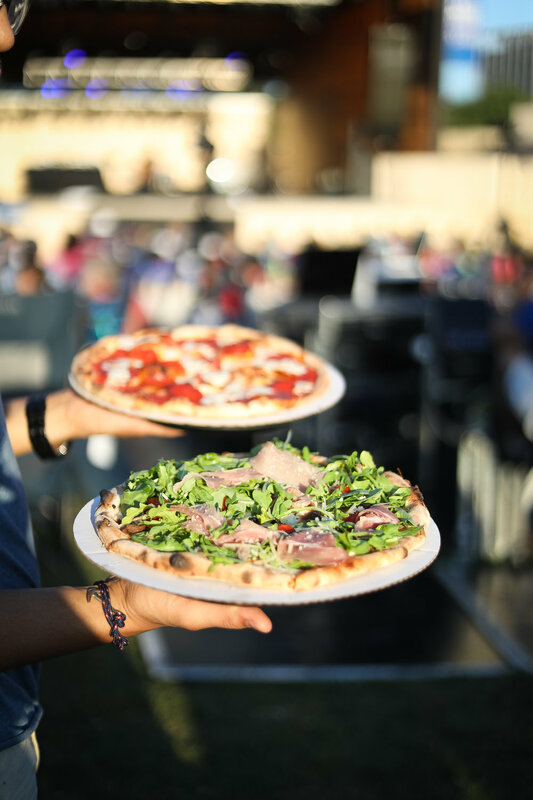 Pizzas, daiquiris, snow cones, cuban sandwiches -- they have it all! 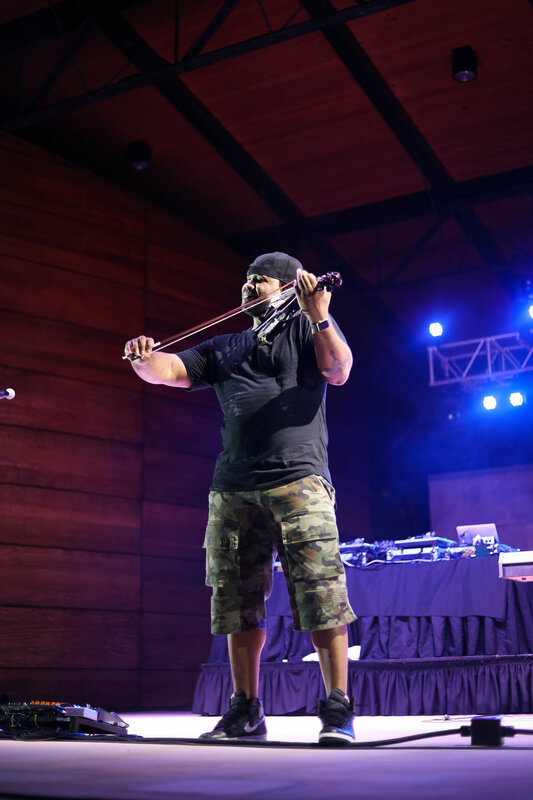 We watched the Black Violin's performance recently there at the Levitt and we really loved it! It was amazing and the fact that the whole event was free was just so cool. Because like I said, I would actually pay for a good music performance, so it's just awesome that the city of Arlington offers something like this for free. I seriously didn't know about this place until I got an assignment from my freelance job to write an article about indoor activities around DFW. When I found out about the International Bowling Museum & Hall of Fame in Arlington, I was like, "Really? Bowling museum? Why bowling?" But did you know that bowling is one of the oldest sports in the world? In fact, according to a British anthropologist, bowling might have started in 3200 BC. So here at the museum, you get to learn about the history of the sport and learn about the sport's greatest athletes at the Hall of Fame . It's a good indoor activity you could do with your family to escape the heat outside for sure :) And it's educational too! Now you might have been to the ballpark here in Arlington, but have you taken a tour and get to know about the ins and outs of it yet? Because you can actually do it with your family! You get to learn about the history of the Rangers, take a peek of some behind the scene action, and participate in tons of fun and kid-friendly activities in addition to the tour itself! Click here to find out more about it.